One of the the beauties of homeschooling is that I get to take history a step further than you’ll typically find in a traditional school classroom. 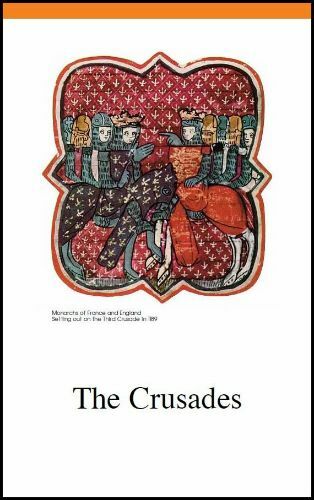 Not only do we explore the who/what/when/where and why of important dates in the history of our world and this country, but where possible we also explore the role Christianity had played in those events. 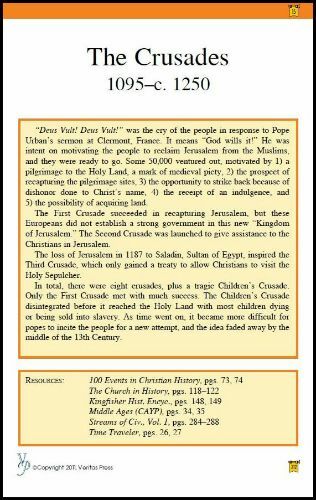 Faith is often erased from traditional history books so sometimes exploring this topic can be a bit difficult. When we were given the opportunity to review something New Liberty Videos I was excited. 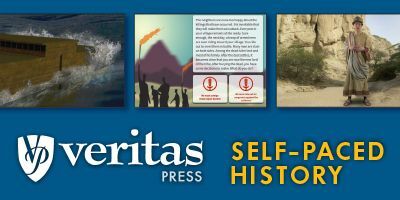 New Liberty Videos creates historyDVDs with a focus on Chiristianity. We chose Warriors of Honor which is a documentary the the faith of Robert E. Lee and Stonewall Jackson. It reviews the major causes of the civil war, major battles, and some of the historical and cultural context of the time. Visually this documentary is quite well done. They offer the viewer lots of actual photos of both Stonewall Jackson and Robert E. Lee. There is footage of reenactments of various battles that help set the scene of the times. The viewer is immersed in the sites, sounds, and historical context of the times. The first half of the documentary focuses on Stonewall Jackson. There is a great deal of depth into his faith, how it impacted his decisions, and his efforts to stay true to it throughout the war. There is some background information about his personal life provided as well. The video then shifts focus to Robert E. Lee and continues in much of the same vein. There is a great deal of discussion of his faith and some information on his personal life. I have to say that I thought the video would be a bit more about the Civil war itself with the stories of these two men interwoven. Some of the battles discussed in the video are Manassas, Antietam, Fredericksburg, Chancellorsville, and Gettysburg. Really the focus of the video was entirely on these two men and their faiths. The story of the war itself is a bit secondary. I watched this documentary a couple of times on my own and once with my two boys ages 7 and 8. They adore history and are hungry to know everything can about the great wars of our country’s history. Anything American history is very hot in our house right now. They appreciated this documentary and retained quite a bit of information from it during our chat afterwards. They appreciated the visual aspects, particularly the battle reenactments. They did note that the narration was a bit boring to them but I feel that is truly a reflection of their age. While I’m glad they watched this documentary it really is geared toward someone older. Teenage and adult history buffs would probably gobble this up. This documentary can be purchased for $19.95. It is approximately 80 minutes long plus some bonus features. If there is one thing we’ve added to our homeschool in the last year or say that adds a spark, fun, and even adventure right from our mini-van or our living room it would be ebooks or even better and more robust are audio adventures like Under Drake’s Flag by Heirloom Audio Productions which my family recently had the opportunity to review. Under Drake’s Flag is based on the novel by the same name by G.A. Henty and is ideal for ages 6-adult though even my four year old daughter was completely intrigued. This is a two-hour, super fast-paced, high energy, extremely high quality audio reenactment of the story that comes complete on two CDs that comes complete with a study guide and prayer inside. Talented British actors, wonderful music, breath taking sound effects… this has it all and then some. Truly wonderful family entertainment! My boys would sit on the edge of their seats and literally cheer along as they took in the awesome audio sensory experience. If you are not familiar with novels by G.A. Henty then you’ll certainly be delighted to know that all of his stories, and most certainly Under Drake’s Flag, have a strong Christian element with a great emphasis on moral teachings and developments. Under Drake’s Flag is the coming of age story of Ned Hawkshaw and his friend Gerald, two young boys who are the adventure of a lifetime sailing the high seas with the great pirate Sir Francis Drake who is involved with the Spanish Inquisition! These boys face struggles, uncertain circumstances, danger and grand adventure all while growing into true determined men of faith. This is a wonderful way to breath life and excitement into your history lessons. Listening to audio adventures has become a vital piece to our homeschooling and a beloved family pastime. As is true for many homeschoolers we are often on the go and I love to take advantage of the time spent in our mini-van. My children often beg to listen stories like Under Drake’s Flag the moment we set wheels to the road. So our expectations for this story were high. We were not disappointed. The story moves very quickly and you do have to pay close attention to keep up with the variety of characters that come and go. To ensure everyone was keeping up I’d often pause the CD and ask a couple of quick questions and add any clarification that might have been needed. Sometimes my children got a little impatient with me when I did that! They liked the action. But I was usually glad I did because I was often able to help someone’s understanding of the story. Under Drake’s Flag would be a wonderful resource to use after you’ve spent some time studying the Spanish Inquisition and perhaps reading a little history about Sir Francis Drake as well. Some background information is always a good boost to help with understanding. Inside of the CD within a pocket you’ll find a little study-guide. A more indepth study guide can be downloaded after you have purchased the CD. These study guides are similar and contain three sections: Listening Well, Thinking Further, and Defining Words. Also included is the heartfelt Prayer of Sir Francis Drake, 1577. The downloadable study guide goes further with more questions in every section. Think of it as the expanded version. The Listening Well Section goes over some comprehensive questions. The Thinking Further Section does just what it says, it asks the listener go further and use some critical thinking skills to take more away from their listening. I think some additional background research could be handy when trying to answer some of these questions. Defining Words includes vocabulary words. In our family I pre read the questions and kept them in mind as we traveled and listened. At home we looked up and of the Defining Words we weren’t sure of. Overall I think the study guide adds a nice addition to the audio adventure. Also included is a Bible Studies section that you can do with your children that’ll encourage study of Godly Character, True Manhood, and Confessing Christ. I thought this was an excellent touch. You actually have several options to choose from when you are looking to purchase Under Drake’s Flag . $99.97 plus $9.95 shipping gets you the Family Four Pack this gets you 4 CD sets, all of the bonuses I mentioned above except the downloaded version of the story, plus 5 more bonuses: An E-Book copy of Bill Heid’s book “Echoes Of The Dragon’s Drums”, G.A. 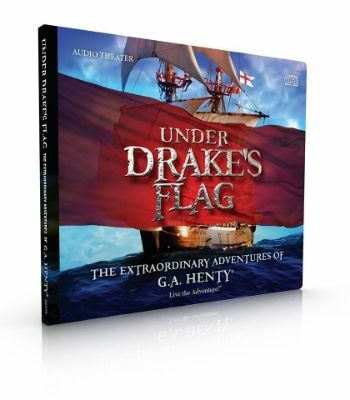 Henty’s original Under Drake’s Flag E-Book, 2-lecture MP3 set titled “The Real Sir Francis Drake.”, A 30-minute video documentary download titled “Behind The Scenes of Under Drake’s Flag“, Free unlimited access to the Under Drake’s Flag Membership Website. $199.97 gets you The Group 10-Pack which is a 10 CD set plus all of the bonuses. If you are into audio dramas like my family this is a must have! We absolutely adored it and are half way through our second listen. Music! Oh sweet music! Who doesn’t love music! And who doesn’t really enjoy LEARNING through and with and about music? Music can tell a story. Music preserves memories, history, and even the feeling of an era. History and culture just cannot be fully studied without immersing yourself in the music of the time. That is why I was totally intrigued by this series called Experience History Through Music by Diana Waring. It instantly sounded like so much fun! I knew in my heart my children and I would adore learning like this. I couldn’t wait to get my hands on these books and audio CD’s. There was no disappointment once we did. We have loved this… but don’t let me get ahead of myself. How refreshing it is to leave behind the traditional textbook, skill and drill, memorization style of history learning. I love to make learning an adventure and these books are just the ticket. Each book in the series is filled with stories explaining some bit of history or other information about the time period or the song itself. There are great historical pictures as well to help you and your family visualize the history. You’ll even find the sheet music so that you or your child can play along on some instrument too… if you know how. But no worries because that totally isn’t necessary. The CD’s are professionally recorded and very high quality. Let me tell you about each of the books. America: Heart of a New Nation sets us in American history around the beginning of the French & Indian War and takes us through to the building of the transcontinental railroad. The CD contains 16 songs some of which you’ll likely recognize including Yankee Doodle, Oh Susanna, and She’ll be Coming Around the Mountain. I love that this one includes the Star Spangled Banner as well. There is just so much richness to the history in here. Songs that I sang throughout childhood that I never knew much about but do now. I had often wondered how I might share some of this with my own children. Well here was my opportunity. My little Cowboy Noah… he’s 8 and he really does fantasize often that he is a true cowboy, riding his horse and living out on the Western Frontier driving cattle from atop his trust horse. He laid his eyes on this one and about flipped. We had to start it immediately! The songs are a blast. Just the twangy old west style you’d expect. My children loved to dance and pretend to play the air fiddle right along with the music. When it came time to read the history that went with the songs they were enthralled. We’ve listened to this one so many times they are now singing the tunes aloud with the CD going, just for fun. What a sentimental favorite this has become. We’ve had a little ongoing side study of all things Laura Ingalls Wilder for sometime. We’ve read the The Little House Books and biographies all about her. This book was just the icing on the cake. I’m not sure about my children, but listening to the very songs that were a part of her life, and the stories that relate to them, made her become real to my heart even that much more. What a treasure this book and CD are. Overall you just have to have these! The just bring American History alive in a new way. A new fresh layer to our studies. A deeper understanding of what life and culture were once like. These books and the music are just so well done. I know, I’m gushing! I don’t usually go this far with a product, there is usually SOME not so perfect thing because what is perfect? Well, this just might be. My family is going to enjoy these books and musical CDs for quite some time. I think I might have to stash these away for my someday grandchildren. Except I’ll save them for visits so I can relive them again. Right now (through the months of July) you can purchase the whole set for $50. Each book retails for $18.99 separately. You can purchase your set at Diana Waring Presents. Do it now! They are worth it! This summer my family is having an absolute BALL keeping the learning going with these new books and musical CD’s called Experience History Through Music. Each title is made up of one book and one audio CD. The books are beautiful, filled with historical photos, historical information that relates to each song presented on the CD, and the sheet music as well. The songs on the CD were professionally recorded and add such spice to a history study. My children just love literally dancing away the afternoons as we listen. My complete review is coming soon but I wanted to take the time to share with you a little bit about Diana Waring, a name that might be familiar to you if you’ve spent much time in the homeschooling circles. She has been kind enough to share a bit about herself and her new Experience History Through Music series with those of us blessed to be on the launch team for this exciting new product. So without further adieu as they say, let me introduce you to Diana! Add to that the fact that my grandfather was the chairman of the National Resources Council, appointed by President Harry Truman in 1951. He was the man responsible for putting the resources of America to work if we went into another world war—which was not a far-fetched idea in 1951 as we engaged in the Korean War and the early Cold War. I still remember listening to my grandfather say, “Diana, we must always know what the Russians are doing. . .” The Cold War was not a newspaper headline to him, it was VERY real. Next on my list of books to write is one entitled, “Daughters of God.” I am hoping to have it finished by this fall. Then, the plan is to create an American history curriculum for elementary age students, one that allows for the same sort of creativity and freedom as my world history curriculum, the History Revealed series. Once these are both done, I have lots of things I have always wanted to write, but never had the time. . . including fiction—historical, of course!! As part of this launch we are giving away over $700 worth of homeschooling goodies, including Experience History Through Music! Don’t miss out! Click here for more details.